We are happy to announce a release of new Linelabox version – a brand new Real-time Joomla! 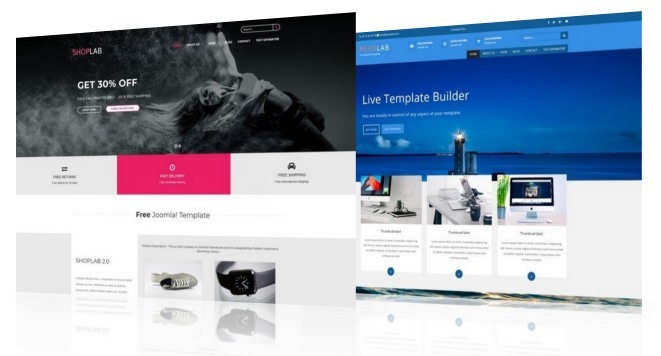 / Virtuemart Template Builder that brings you everything that you ever hoped for and needed for designing beautiful Joomla! templates. With the Linelabox Template builder, you can create unlimited Joomla / Virtuemart templates. This truly revolutionary tool has no analogues and offers endless possibilities for creating Joomla! templates. Linelabox is free to use only there is a limit on number of template downloads for free. 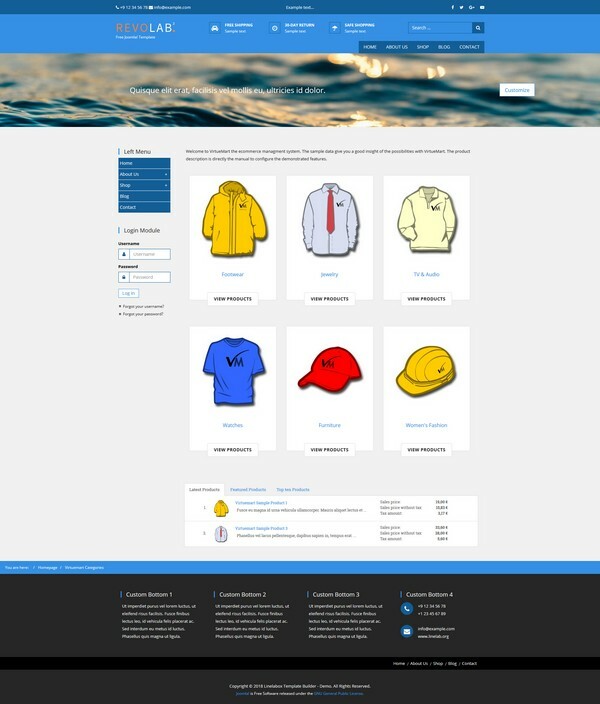 Virtuemart theme is available only for Professional Package. You can choose from over 850 fonts, more than 1,000,000 of free images, responsive framework, mobile editor, custom module styles, snippets and skins that you can save into library for further use, and many more great features. Learn more about Linelabox features https://www.linelab.org/features. Soon there will be even more features and preset Joomla! templates. Our goal is to let you easily create your own Joomla! templates without any coding experience and knowledge. You can do it all using our cool Real-time Joomla! Template Builder. Forget all other Page Builders. With Linelabox you don’t have to install any other component into Joomla!, you don‘t need to solve problems with page builder updates and compatibility. With Linelabox you’ll easily create lovely Joomla! template in real-time completely online, just like with LEGO building kit and you can simply install it with a single click including all modules. We support various third party extensions such as K2, Acymailing and of course Virtuemart. It can’t be any easier – so lets start building now! Step by step video tutorial on how to create a responsive Joomla template using Linelabox in 10 minutes! Linelabox Virtuemart theme has a large number of extra features to create professional and unique ecommerce site. VM Theme1 - Virtuemart Template has been released. Create your own template now on Linelabox. All in real time. Start your free! 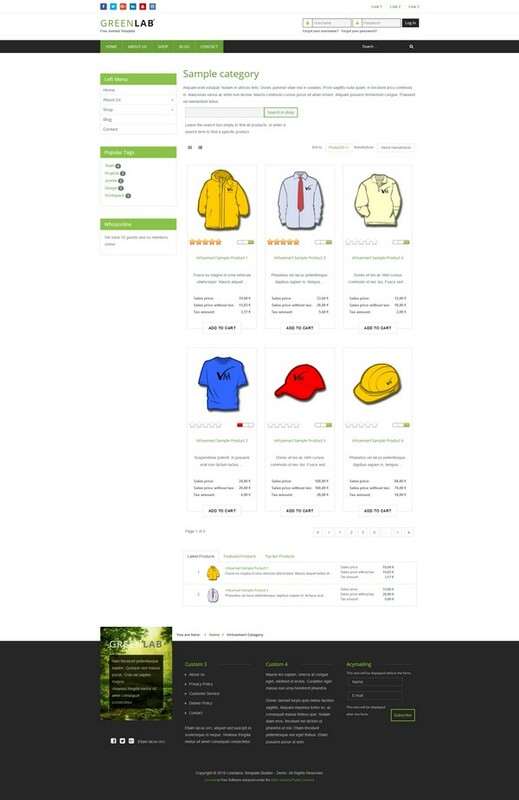 Greenlab VM - Virtuemart Template has been released. 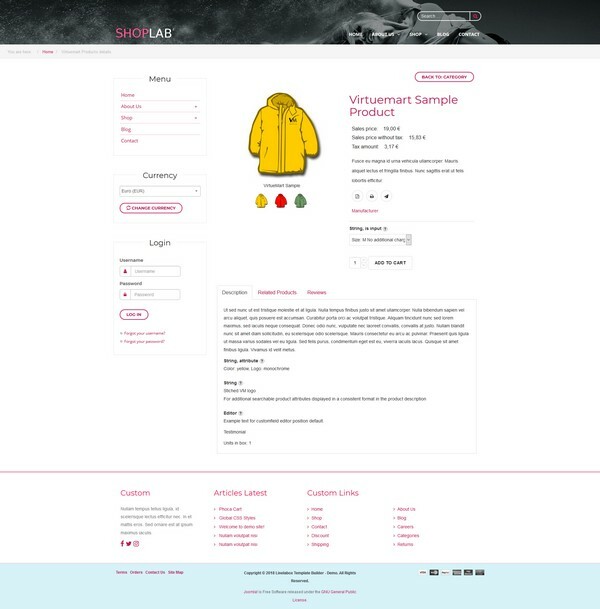 VM Theme2 - Virtuemart Template has been released. PRESSLAB - Free Joomla! Template has been released. Fixed issue with custom templates on Joomla 3.9. Show / Hide component on Home page.